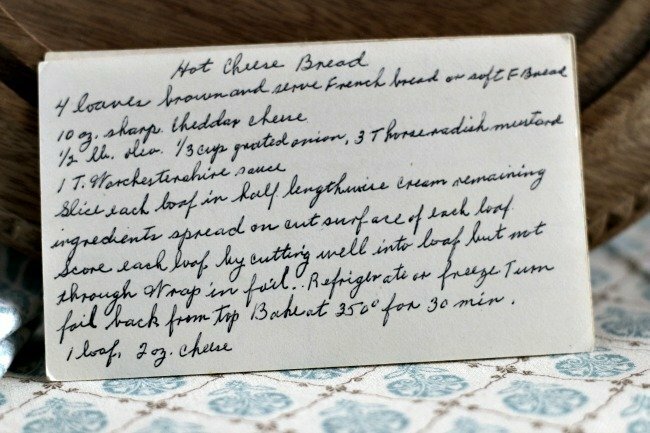 Front of the Cheese Bread recipe card. There is a notation in the method of “1 loaf and 2 ounces cheese” – I am not sure what they mean by this comment as the method instructs cooks to cream the cheese. Thoughts? Comment below to share. We have lots of recipes on the site that may be of interest to you. Use the links below to view other recipes similar to this Hot Cheese Bread recipe. If you make this Hot Cheese Bread recipe, please share your photos and comments below!